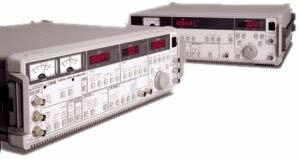 High stability based on digital processingPhase stability : 0.01_/_CGain stability : 100ppm/_C Measurement from 1mHz is availableLow speed signal analysis is possible like infrared spectrum, temperature response etc. High speed and smooth responseConstant at minimum time 10µs, Synchronized filter provided, Quick response to setting change. Simple and assured operation to sophisticated measurementAuto function, Key allocation, Large indicating, window, Analog meters, and Modify dial are provided.